Picking just one experience from each that best personifies the greater landmass is an impossible job, not to mention totally unfair. But life isn’t fair. Nor is this column. If you need someplace to start when attempting to bag all seven continents, make it one of these iconic and universally well-rated encounters. The largest living thing on Earth lies just off the cost of its deadliest continent. If you want to see all of its colorful species and 1,600 miles of splendor before 2 million annual tourists and global warming eventually diminish it, get there quick. Whatever your race, creed or nationality, the Vatican is one of humanity’s greatest temples of art, architecture, spirituality and fellowship built during the transition from middle ages into modern history. Highlights include the humbling St. Peter’s Basilica, the sublime Sistine Chapel and the renowned Museums. It’s undoubtedly a tourist trap, but Machu Picchu still manages to retain its archeological and natural wonder while sitting high upon a misty Andes mountaintop. Left untouched by conquistadors until we later stumbled upon it in the early 1900s, this once-forgotten Incan city is a continental highlight and best seen in off-peak season. Ask 100 visitors for the best thing to do in Africa and 99 will answer “Safari” because it’s the greatest display of wildlife on Earth. And Serengeti National Park might be the greatest of the greatest. Unlimited horizons. Tens of thousands of animals. The world’s best sunsets. “Almost too unbelievable to describe,” remarked one recent visitor. Behold, one of the most inspired monuments ever conceived by humankind. 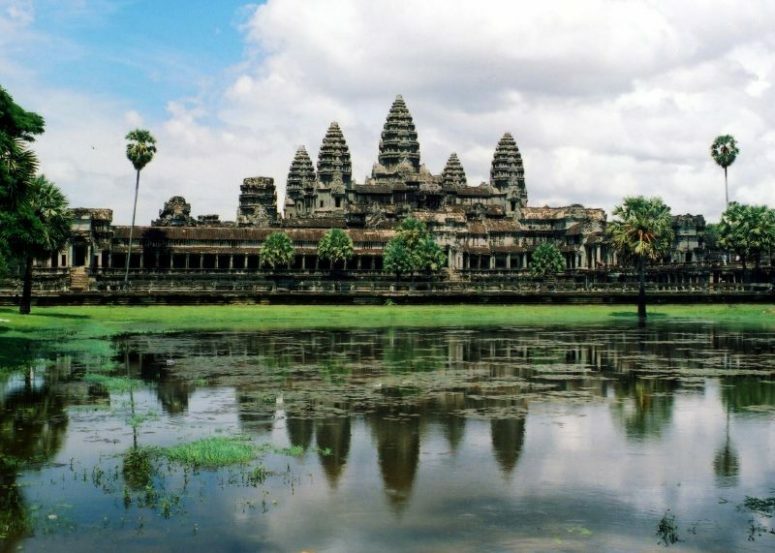 Angor Wat is 400 years older and four times the size of The Vatican. It’s also the largest religious monument in the world. Situated in lush, tropical forest, the sprawling shrine is as ancient as it is peaceful. I wanted to pick somewhere cool and non-cliché here. I really did. But there’s no denying this place. Next to the ocean, the Grand Canyon is probably the most impressive spot in the world to feel small, insignificant, and grateful for solid ground. The views are unmatched by any photo, according to most, making it the greatest natural spectacle in the world. The last place on Earth. Barely inhabitable. Endlessly white. Terrifyingly beautiful. To step foot on it, you’ll need to be a scientific researcher or hitch a ride on one of the many adventure cruises that operate there. You probably won’t want to stay for long. But you’ll be glad you did, as it will make the continent you do live on a lot more appealing.